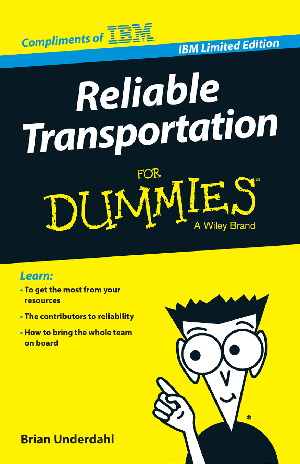 Reliable Transportation For Dummies, IBM Limited Edition, tells you what you need to know about what it takes to keep a fleet operating efficiently while keeping maintenance expenses in check. Ensure your systems and policies are in line with the Transportation industry's best practices in enterprise asset management and see how the latest Internet of Things innovations are moving this core infrastructure sector toward the future. Download the free ebook now.